The Australian bishops have heaped praise on veteran marriage advocates Ron and Mavis Pirola and Kevin and Margaret Andrews upon their retirement from the Australian Catholic Marriage and Family Council (ACMFC), an advisory body to the Australian Catholic Bishops Conference. The president of the bishops’ conference, Archbishop Denis Hart of Melbourne, thanked both couples at a special luncheon on 25 November, which was also attended by the Archbishop of Sydney, Archbishop Anthony Fisher OP. Ron and Mavis Pirola have been married for 56 years and have four children and eight grandchildren. “For most of their married lives they have been active in a wide variety of lay spirituality movements and programs, notably through Marriage Encounter and the Parish and Marriage Renewal Centre,” Archbishop Hart said. 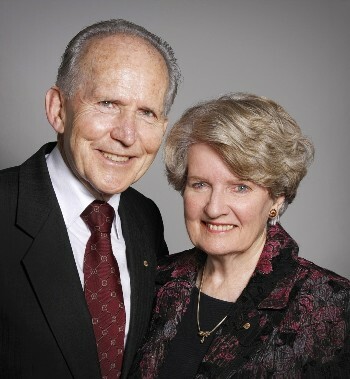 Most recently, Ron and Mavis organised the Australian pilgrimages to World Meetings of Families; they were lay leaders for the previous seven meetings. They also served the maximum of three terms as chair couple of the ACMFC. Following the World Meeting of Families in 1997, the returning delegate couples formed a self-funded body, called Evangelisation through the Family Group. This subsequently became the ACMFC. Kevin and Margaret Andrews were also members of the Evangelisation through the Family Group and of the ACMFC. Married for 36 years, the couple has five children and three grandchildren. Margaret was editor of Threshold magazine for 25 years. Kevin, a consultor to the Pontifical Council for the Family for more than a decade, is author of the book Maybe ‘I do’ – Modern marriage and the pursuit of happiness.